Here’s the answer: it’s not a matter of choosing one or the other for your analytics platform. 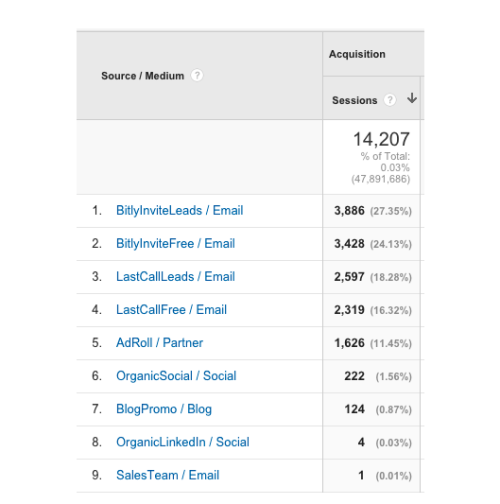 Bitly works as a layer on top of Google Analytics. We offer a quick way for businesses and individuals of all analytical skill levels to pull real-time data. Google Analytics offers more customizable dashboards for those looking to take a deeper dive into their analytics. The two offer different views that work together to give you a better understanding of the traffic and conversions that drive your business. Where Do I Use GA vs Bitly? At Bitly, our team switches between Bitly and Google Analytics for greater efficiency and transparency. We use Bitly on a daily basis and refer to Google Analytics for more macro views like weekly and quarterly reporting on how each initiative impacts our bottom line. responsive, trackable digital marketing assets and display the data from each and every link in customizable dashboards. As part of the launch, we promoted the eBook to users and prospective customers through social media (mainly Facebook, LinkedIn, and Twitter) and email. 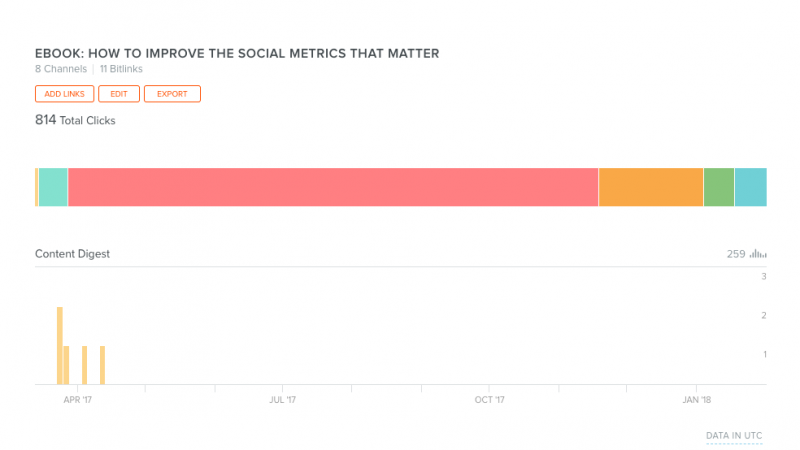 Using Bitly’s dashboard, our marketing team was able to check to see how the link was performing on social and adjust accordingly throughout the day. For example, let’s say we found that our eBook was trending on Linkedin – we would want to follow up by sharing a few other pieces of similar content at the time of day we saw the most engagement. Google Analytics, being more complex by nature, takes longer to process data and is optimized to pull data for the day before you access the dashboard. This is why when you log into Google Analytics, you’ll see that the default date range will show up to the day before today. 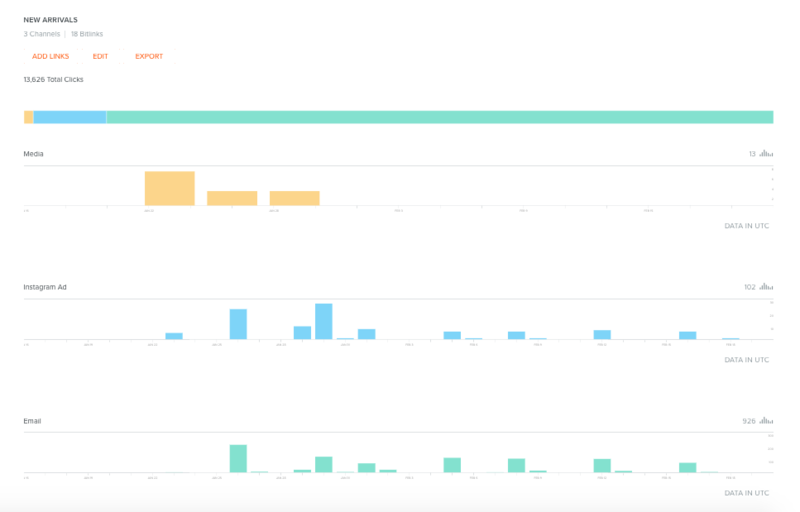 Digging deeper into the Bitly dashboard, our team also saw that the eBook link received 814 clicks – half of which were from people based in the United States. Since we could see this data in real-time, we can potentially put together a spontaneous campaign to speak to interested audience groups that we hadn’t considered before. In this case, perhaps we could test a Sponsored LinkedIn Post targeting United States marketing professionals working in the tech industry who view on their phones. Other teams across the business at Bitly have access to this dashboard as well, so our sales team is able to pick out top trending content to share in their conversations. Our product team is also able to see which features are trending on social, to get a better sense of what’s working well and what could be improved. Bitly Enterprise, our paid plan, dives a little deeper and provides easy insight into mobile performance, which is harder to track in GA.
I’ve highlighted the basics of what Google Analytics can do for you by viewing sessions, conversions, and conversion rates, but GA does go even more in-depth if your team needs to view advanced web analytics. 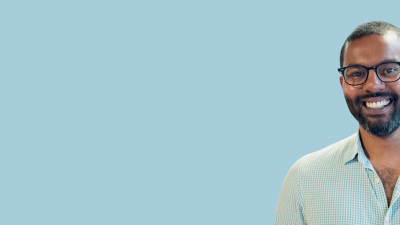 A smaller group of us use GA at Bitly to build custom dashboards, look at multi-channel conversion attribution, event analysis, and much more. Knowing how to efficiently set up GA across your business will allow you to optimize future campaigns based on the performance of your website. Why Is The Data Different? The first thing you’ll want to do is add UTM parameters to your URL. You can either do that through our Campaign Builder (Enterprise Users only) or use Google’s URL builder. Don’t know what UTMs are? Check this out to learn more. 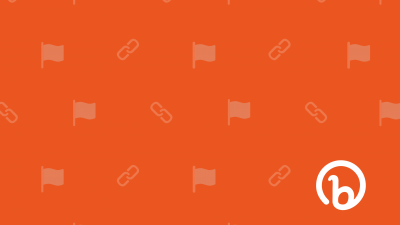 Shorten the link in Bitly. You’ll see that there are randomly generated letters and/or numbers after the backslash. You can customize this to brand the link and make it more memorable: http://bit.ly/social-metrics-webinar. Great! You’re all set. Now we’re ready to push this live and see stats both on Bitly and Google Analytics. 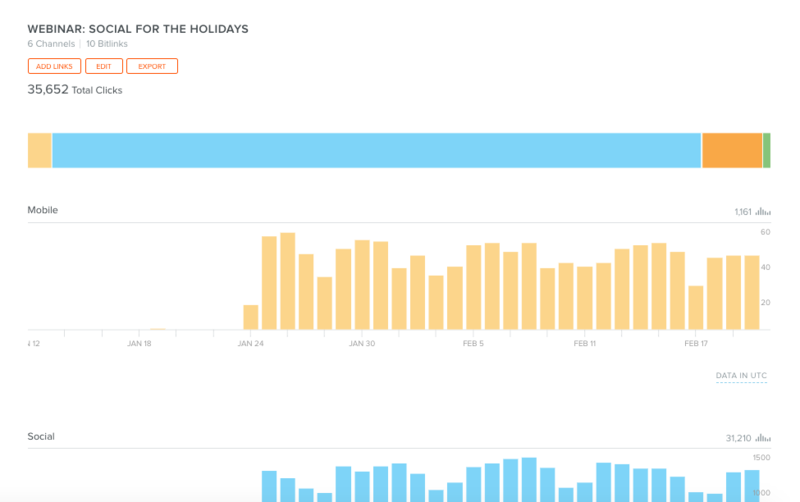 Bitly records click data, Google Analytics reports on Page views and sessions. Google also samples data, while Bitly does not. In other words, Google will take a sample of your data and extrapolate that to estimate what it would be at 100%. With Bitly, you’ll see every click that occurs. At the end of the day, there most likely won’t be just one web analytics platform that shows you 100% of the picture. That’s because each tool pulls data differently and often specializes in different metrics. 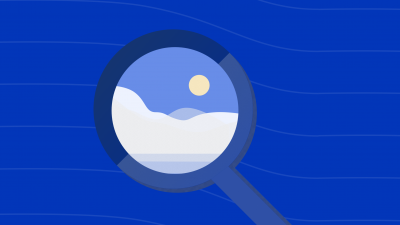 But understanding what each tool offers will help you pull the right insights for your team. You’re already off to a great start if you’re reading this post and asking questions like how to use Bitly and Google Analytics together. 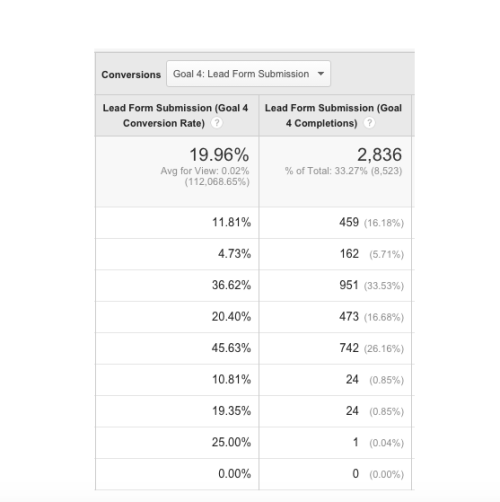 Layering all of your analytics tools together will build a more comprehensive view for unbeatable conversion. Don't get distracted by the vanity metrics. 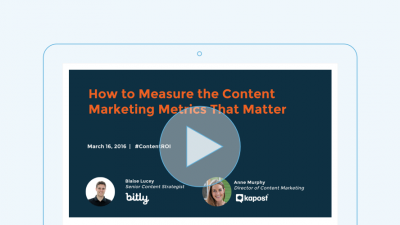 Start tracking how content impacts your bottom line.